In 1868, Levi Leonard, a farmer living a mile east of Evansville purchased land from Henry G.
old mill pond, known as Lake Leota. logs down the Sesquehanna river. their journey was by stage coach, and by boat to Chicago. Janesville where they found two frame houses, a stagecoach house and a few log houses. commissioners were satisfied with his answers, Levi was awarded a teaching certificate. education beyond the one-room school. Charlotte, died just five months later in May 1856. Sarah had no children of their own, Leonard was a beloved step-father and step-grandfather. reading, notwithstanding the hard labor of the farm life." slave laws enacted in Wisconsin. grain crops and increase their livestock holdings. In 1866, Leonard decided to give up farming and sold his farm to Vie and Henry Campbell. 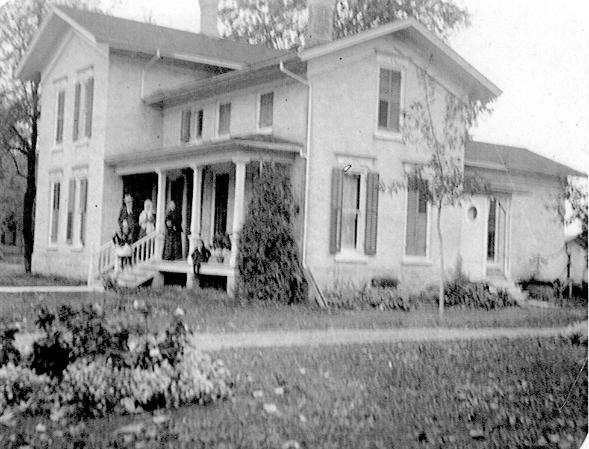 Marion lived in two houses before buying the land on West Main. Sarah Prentice Jones Leonard lived in the house until their deaths in 1908 and 1909.
ministers and only one lawyer." Mary Winston, Emaline Bevier, Elijah Bullock, Dr. E. W. Beebe, and his wife Mrs. Frances Beebe. Levi became legal guardians for Marion’s son, Lyle Humphrey. wagon and a cow for milk. His land included seven acres. 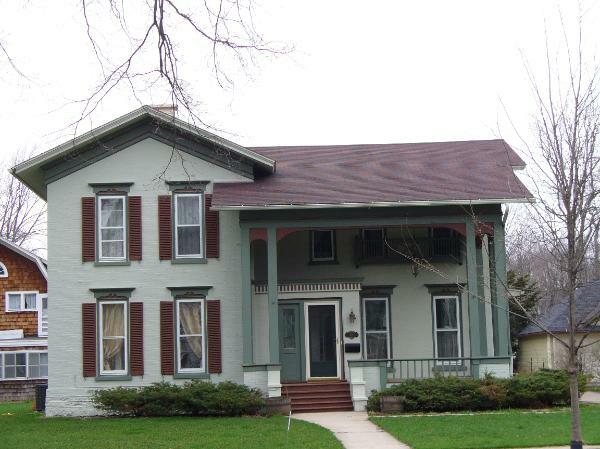 make a deed to record the sale of land to the Village of Evansville. Leonard was able to enjoy the benefits. He began to improve his home with little convenience. In 1885, F. A. Baker and Company installed a hot air heating furnace. pleasant winter and happy enjoyment,” the Review stated in their December 3, 1886 issue. Sarah. In addition, he mowed the lawn and helped with the cooperative garden. "May 22, 1894. "August 22, 1903. Dr. Evans died this morning 1/2 past 3". 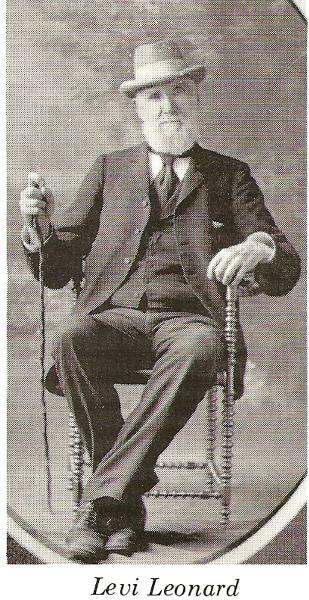 of age, Levi Leonard was one of the wealthiest men in Evansville. Sarah Prentice Jones Leonard died just five months later on May 23, 1909.
become a professional photographer. George, Jr. was an amateur photographer. began practicing with Dr. Charles M. Smith. competition made the young man restless and Spencer soon moved on to Dayton, Wisconsin. 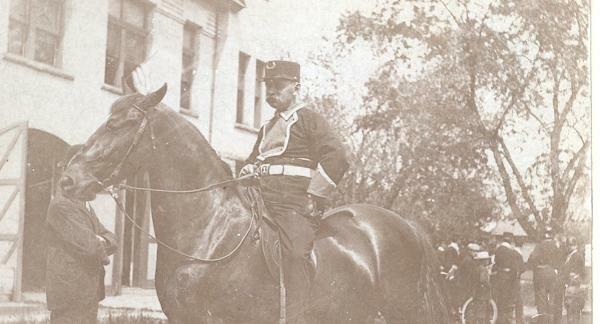 He returned to Evansville in 1887, but stayed less than a year. to Evansville with his wife's body and decided to stay and practice medicine. before the Leonard house was placed on the market. late Levi and Sarah Leonard. changing partitions on the inside and making other changes that would modernize the house. 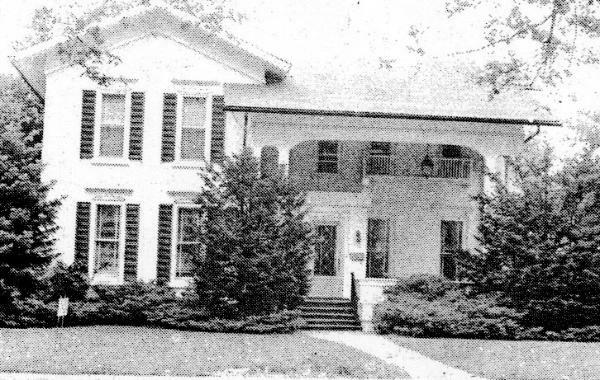 In January 1910, the Spencers moved into their new home. tested for tuberculosis. Spencer recommended sterilizing all milk before it was consumed. schools to check the teeth of children and make recommendations to parents about their care. their mothers. George's great concern for children carried over to his social activities as well. caring for members of their own family, as well as patients. Co. on East Main Street. William, Robert, Elizabeth and Barbara were born in the house. The Brunsell's added an enclosed porch in 1925.
activities. He died in 1964 and his wife, Elizabeth died ten years later. owners have taken up residence. on one of the local historic house walks in 1978.
performed for many social and civic events in Evansville and in Madison. cupboards were part of the original kitchen built for Levi and Sarah Leonard. also built a goldfish pond. maple narrow-board floors refinished on both floors of the home. and Nortaki china collected during visits to China. The newest occupant of the Levi Leonard house at 138 West Main is Xandra Kashkashian.